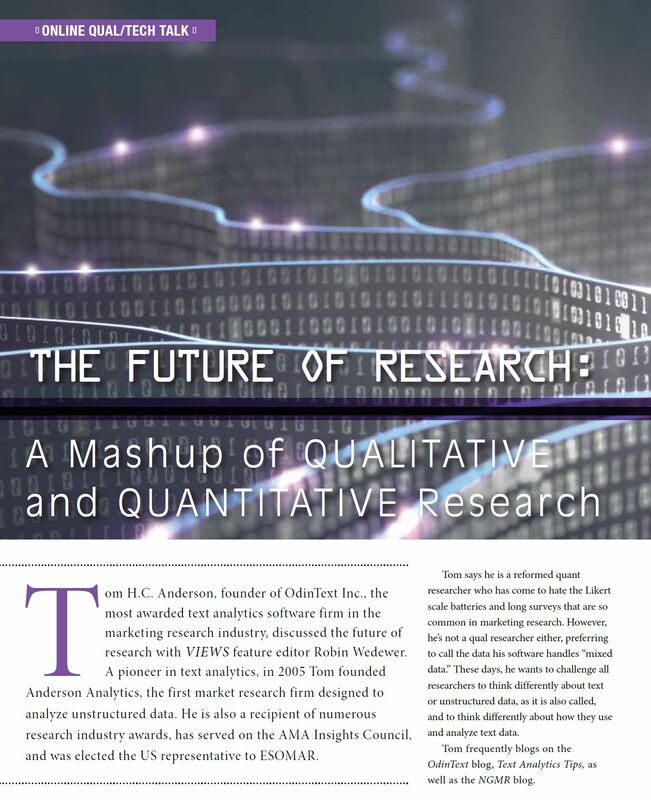 The lines between qualitative and quantitative research are becoming increasingly blurred. Robin Wedewer’s interview with Tom H.C. Anderson, founder of OdinText Inc., explores what this means for research and researchers. Tom Anderson is a pioneer in text analytics. In 2005, Tom founded Anderson Analytics, the first market research firm designed to analyze unstructured data. He is also a recipient of numerous research industry awards, has served on the AMA Insights Council, and was elected the US representative to ESOMAR. OdinText is the most awarded text analytics software firm in the marketing research industry.